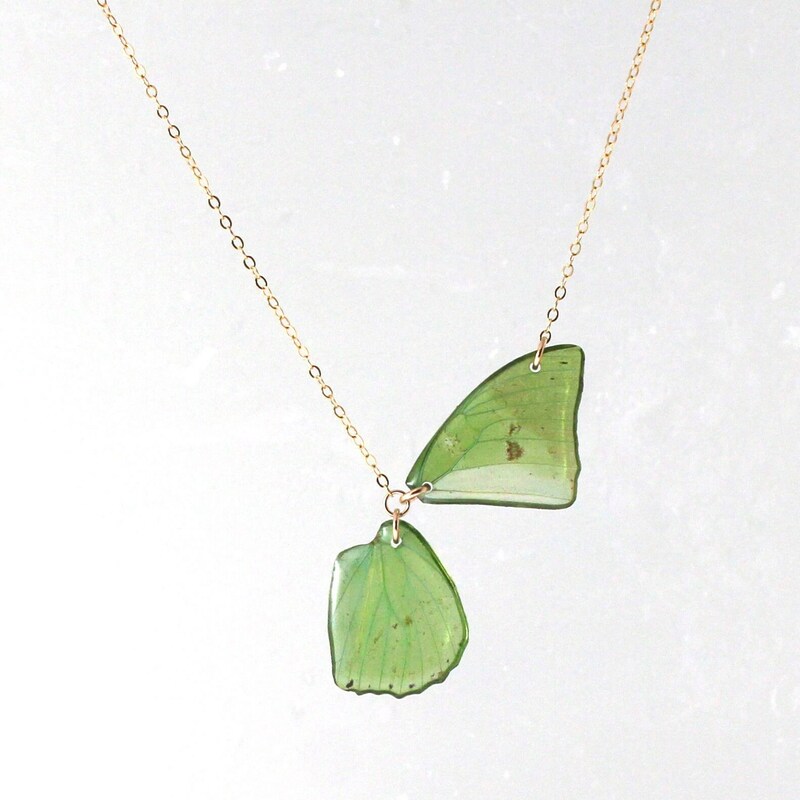 These REAL Charaxes eupale butterfly wings have been preserved into your choice of half-butterfly necklace style. All wings are from, and their purchase further funds conservation efforts. Wing colors, and sizes vary as shown. 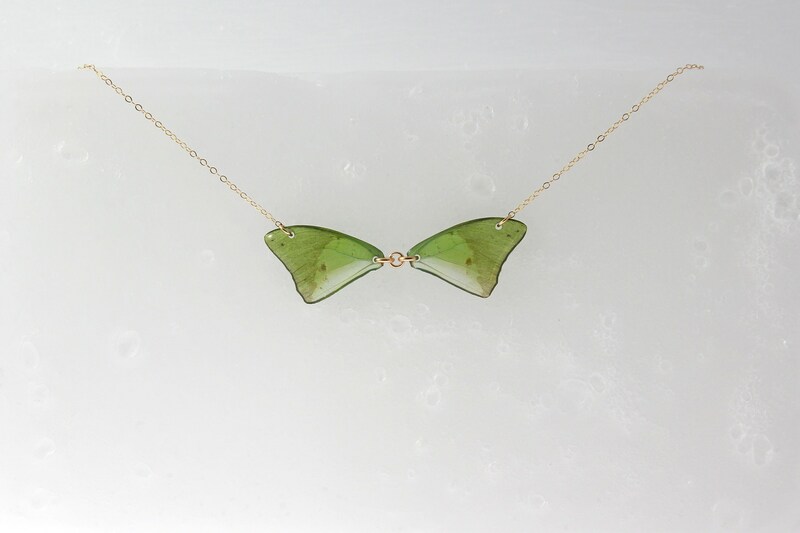 HALF NECKLACE: This option is for a vertical half butterfly, with one fore and one hind wing in an asymmetrical formation. Your choice of sterling silver, or 14/20 Gold. Your choice of length. BOWTIE NECKLACE: Two fore wings hung in natural formation, resembling a bowtie. Your choice of sterling silver, or 14/20 Gold. Your choice of length. BOTTOMS NECKLACE: Two hind wings custom designed with varying chain styles, and beading to suit the wings and metals chosen. Your choice of sterling silver, or 14/20 Gold. Your choice of length.